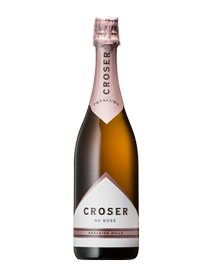 At the heart of the Croser story is the region, the hand crafting and the determination to create something world class. Since 1985, our team has been crafting world class sparkling wines from the picturesque cool-climate region of the Adelaide Hills. 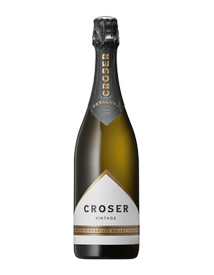 Made for celebrating the most important moments in life, this is Croser. The Croser and Petaluma cellar door accompanies our state-of-the-art winery on estate vineyards in the Adelaide Hills township of Woodside, just a 40-minute drive from Adelaide CBD. Aged for extended time on lees, this delicious late disgorged sparkling wine is sourced from the Piccadilly Valley in the Adelaide Hills and was handcrafted using the traditional method. It has complex fresh fruit aromas with strawberries, apple and cherry on the palate. A sublime Rosé sourced from premium Piccadilly Valley fruit. Displaying aromas of pomegranate, wild strawberry and cherry bursting from the glass which flood the palate with biscuity notes adding complexity and style. Creamy, stylish and delicious. 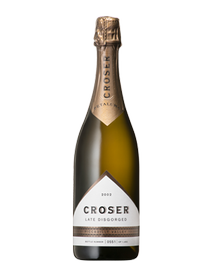 A complex, elegant and creamy vintage Croser with a nose redolent of honey and cashew and an alluring citrus lift. The palate shows wild strawberry Pinot characters alongside a more buttery nectarine Chardonnay before a soft yeasty finish buoyed by green apple acidity.